Hashimoto’s Thyroiditis symptoms, lab tests, and why every woman should get tested! 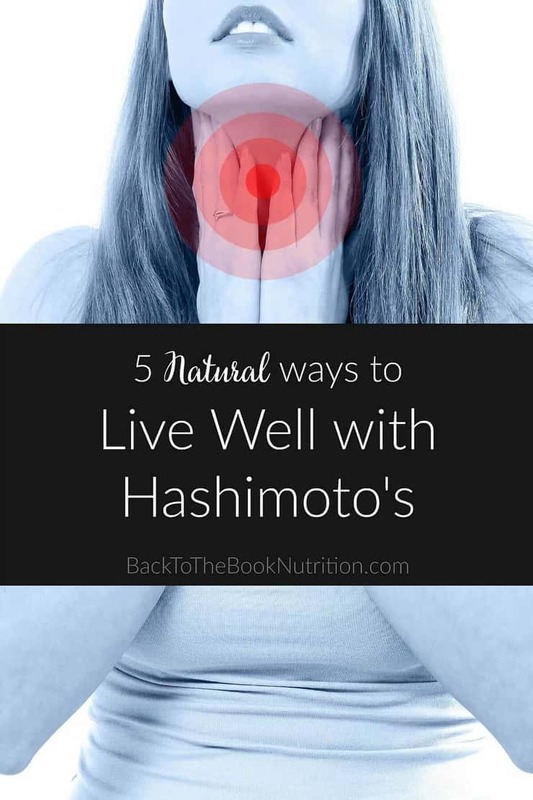 Plus, 5 natural ways to live well with Hashimoto’s! But what many Hashimoto’s patients may not understand is that they don’t have a problem with their thyroid as much as they have a problem with their immune system attacking their thyroid. With an increase in autoimmune diseases and difficulty with diagnosing Hashimoto’s, also known as Autoimmune Hypothyroidism, it is important to understand what it is and how it can affect your life. To better understand Hashimoto’s, and why it is a problem with the immune system and not the thyroid, we must first understand autoimmunity. Environmental Trigger(s) – stress, Western diet, nutrient deficiencies, food additives, toxins, GI infections and overgrowths (i.e., H.pylori, SIBO, Candida overgrowth), medications, etc. When all three of these factors are present and allowed to persist, the immune system goes into overdrive, wires can get crossed, and all of a sudden healthy body tissues can become the target of the attack by way of something called “molecular mimicry”. If the gut is leaky, gluten and other protein particles can leak through the intestinal walls. Since these proteins shouldn’t be present in that particular area of the body, they are viewed by the immune system as foreign invaders. The “troops” (Regulatory T cells and other immune cells) are signaled, and an attack is launched. But parts of the gluten molecule (and certain other protein molecules) actually look similar to thyroid tissue and the immune system can confuse the two. The more often the immune system is called on to attack the gluten, the more likely this mix-up called “molecular mimicry” can occur, resulting in an attack on thyroid tissue instead. This attack on healthy tissue is the start of autoimmunity. As you can see, at its root, Hashimoto’s is an immune dysfunction that results in thyroid dysfunction – it’s imperative that we maintain focus on that root issue of immune/autoimmune activity if we want Hashimoto’s naturally. In Hashimoto’s, the primary tissue that is attacked and possibly eventually destroyed by the immune system is the thyroid, which compromises metabolism, heart rate, and body temperature regulation. Related tissues like the pituitary gland (which produces TSH) and thyroid receptor cells on tissues throughout the body (think of these as a lock on the door of the cells – when thyroid hormone arrives at the cell, it acts as a key which fits perfectly into the lock to open the “door” of the cell and allow the thyroid hormone to enter and begin its work) can also be damaged by Hashimoto’s. Hashimoto’s causes hypothyroidism (hypo= low or below normal), where the thyroid can’t make enough thyroid hormone for the body’s needs. The thyroid is responsible for producing mostly inactive thyroid hormone (T4), along with small amounts of active thyroid hormone (T3). Inactive T4 is converted to active T3 primarily by the liver. To make matters worse, the attack on the pituitary can reduce signals to the thyroid to make more hormone, and the attack of thyroid receptors can reduce the effects of activated T3, so that even the small amount of T3 that is produced can’t be used effectively. When the body can’t make enough of these hormones a variety of symptoms may occur. You may not even realize that some of the symptoms are caused by a disease, but they can have a huge impact on your life. If you have these symptoms it is important to get checked for Hashimoto’s right away. The longer it goes unchecked, the more damage can occur to your thyroid and related tissues. Left untreated, Hashimoto’s can lead to other health problems including an enlarged thyroid, heart problems, infertility, bone loss, and depression. To better understand your thyroid function and to determine whether you have Hashimoto’s, your health care provider will should run a full thyroid panel including antibodies. Unfortunately, it’s very common for just one or a few of these to be performed, which gives an incomplete picture of thyroid health and/or autoimmune function, risking missed or mistaken diagnoses. Western medicine routinely prescribes synthetic T4 thyroid hormone replacement (i.e., Synthroid, Levoxyl) for Hashimoto’s patients. For many, this is a necessary component of treatment. However, it’s important to remember that T4 medication has it’s limits. Some medications (i.e., Armour Thyroid, Nature-Throid) are actually “glandulars”, medications derived from thyroid tissue of a pig or other animal. These are natural rather than synthetic and have both T4 and T3 together in the same pill. For individuals with poor conversion of T4 to T3, these can be a great consideration. Remember, the ultimate aim when addressing Hashimoto’s and other autoimmune diseases holistically is to restore balance to the immune system to stop the autoimmune attack on the body. It’s unrealistic to expect an autoimmune condition to go away entirely, but it’s very possible to use diet, exercise, and other lifestyle modifications to snuff out autoimmune activity in the body. Many women with Hashimoto’s have achieved drastic reduction of thyroid antibodies and remission of their symptoms using this approach. Here are five ways to naturally restore balance to your immune system and live well with Hashimoto’s. Consider working with myself or another holistic to test for gut infections and overgrowths, nutrient deficiencies, and other toxicities that may be contributing to autoimmunity. Until you have repaired your leaky gut, triggering exposures will continue to fuel autoimmunity. There are several diets that have helped many with Hashimoto’s and other autoimmune conditions. All of these involve a period of restricting common trigger foods such as gluten, dairy, and soy, as well as adding in gut-healing foods and supplements like meat stocks, bone broths (high in glutamine), wild caught fish, and fermented vegetables to help repair leaky gut and promote proper immune function. Note: Supplementation should be approached with caution as an excess of some nutrients can be harmful to your health. Speaking with a practitioner is advised before taking any supplements. Individuals with an autoimmune disease have dysfunction of the regulatory T cells (sometimes called “T reg cells”), which are responsible for shutting off the immune response once it has finished its job. Discuss these and other beneficial supplements with a holistic practitioner. Work out – include cardiovascular, strengthening, and flexibility exercises. Remember, too much exercise can also be stressful to the body too! Relaxation techniques – prayer, meditation, deep breathing, etc. If you suspect you may have Hashimoto’s Thyroiditis, please arrange lab work through your doctor or through my Holistic Nutrition Coaching services to screen for thyroid antibodies. In my opinion every woman should be screened at least once every few years, or if they have a history of or recent symptoms of thyroid disease. You CAN live well with Hashimoto’s, but early detection and implementation of diet and lifestyle approaches for Hashimoto’s (as well as other autoimmune conditions) are key for long term success! Lerner, A., Jeremias, P., & Matthias, T. (2015). The world incidence and prevalence of autoimmune diseases is increasing. International Journal of Celiac Disease, 3(4), 151-155. Nakazawa, D. J. (2008). The autoimmune epidemic: Bodies gone haywire in a world out of balance. Somers, E. C., Thomas, S. L., Smeeth, L., & Hall, A. J. (2009). Are individuals with an autoimmune disease at higher risk of a second autoimmune disorder? American journal of epidemiology, 169(6), 749-755. Kresser, C. (n.d.) Thyroid disorders. Wentz, Isabella. (n.d.) The 6 Most Important Nutrient Deficiencies in Hashimoto’s. Lerner, A., & Matthias, T. (2015). Changes in intestinal tight junction permeability associated with industrial food additives explain the rising incidence of autoimmune disease. Autoimmunity reviews, 14(6), 479-489. Fasano A. Leaky Gut and autoimmune disease. Clin Rev Allergy Immunol, 42(1), 71-8. Ballantyne, S. (2017). The autoimmune protocol. Harris, C. (2012). Thyroid disease and diet- Nutrition plays a part in maintaining thyroid health. 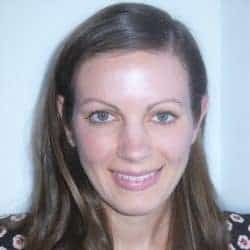 Today’s Dietitian, 14(7), 40. Wang, J., Lv, S., Chen, G., Gao, C., He, J., Zhong, H., & Xu, Y. (2015). Meta-analysis of the association between vitamin D and autoimmune thyroid disease. Nutrients, 7(4), 2485-2498. American Thyroid Association (2014). Patients with Hashimoto’s thyroiditis and negative thyroid antibodies have a milder form of the disease. Walls, T. (n.d.) About The Wahl’s Protocol. Kresser, C. (2010). 5 ways that stress causes hypothyroidism symptoms. Wentz, I, (2017). The 5 stages of Hashimoto’s thyroiditis. I’ve been reading a lot about the leaky gut on Youtube. These tips here are SUPER helpful. Thank you! I don’t have Hashimoto’s, but I do have a low thyroid do to having mine killed years ago. It’s such hard work keeping yourself healthy with a low thyroid. Thanks for sharing this information! You’re so right – it can be a real struggle. I have hypothyroidism myself and really have to keep a close eye on my lab work and symptoms. Thank you for the great information and tips. I see so many people living with Hashimoto’s. One of my best friends of college introduced me to this. She had just recently been diagnosed. I’m going to share this with her! Wonderful, Shelby – thanks for sharing! Wow, I never even knew what Hashimoto’s was. The thyroid is super important so this is definitely scary. I’m sure this post might help some people realize it and help themselves! Thank you for sharing so much wonderful information. You covered everything so well. It was very interesting. I never heard about Hashimotos, Thanks for sharing this to give me more information about this disease. It is really a good thing to learn more about this. Such a great and informative post. 5 months ago, Iw as diagnosed with Hyperthyroidism. But never had an idea about Hashimoto. I’m glad you found it helpful, Helen. Whether you have hyper- or hypothyroidism, I always encourage having antibodies tested to rule out autoimmune hyperthyroidism (Graves Disease) and autoimmune hypothyroidism (Hashimoto’s Thyroiditis). If you haven’t already had antibody levels tested, you may want to request them from your doctor. Never heard of this illness before! Great information for people who have to live with it! Yeah, I’ve heard it affects mostly women. In fact, I don’t know any man with hashimotos. So nice of you to allows a guest post on this.